EDMONTON (2015 FIBA Americas Women’s Championship) - The team led by Oscar Silva defeated Ecuador, 55 - 48, to finish the group stage in the third position of Group B. • Turning Point: Venezuela had a 6-point lead going into the last ten minutes. The team from Ecuador began to discount and got within three points of the opponent. A triple by Marquez began a streak that took the Venezuelan team to take an advantage of 7, for the game. • Stats don’t lie: On most ranges of the statistics the teams were even, the only major difference being in the rebounding, where the Venezuelan captured 47 and the Ecuadorian 28. • Game Hero: Ivaney Marquez appeared at times when she was most needed and had 15 points and 9 rebounds in the win. 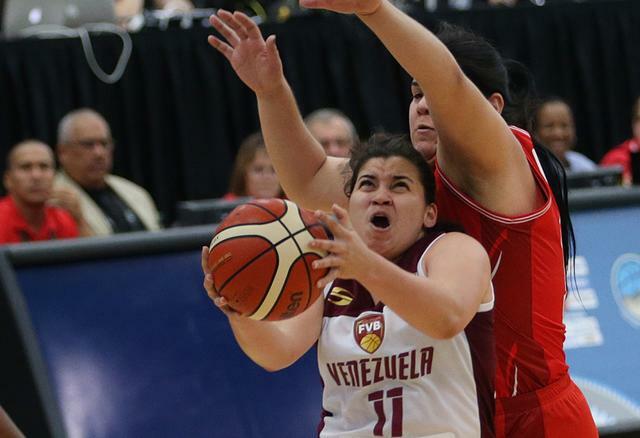 • The Bottom Line: Venezuela ended the group stage in the third place of Group B and will play the winner of the match between Puerto Rico and Chile, for the fifth place of the tournament and the last ticket to the FIBA Women's Olympic Qualifying Tournament.